Before the meeting even started, China was already making headlines: not only was Xi Jinping the first Chinese president to come to Davos, but he was joined by the largest delegation the Asian giant has ever sent. 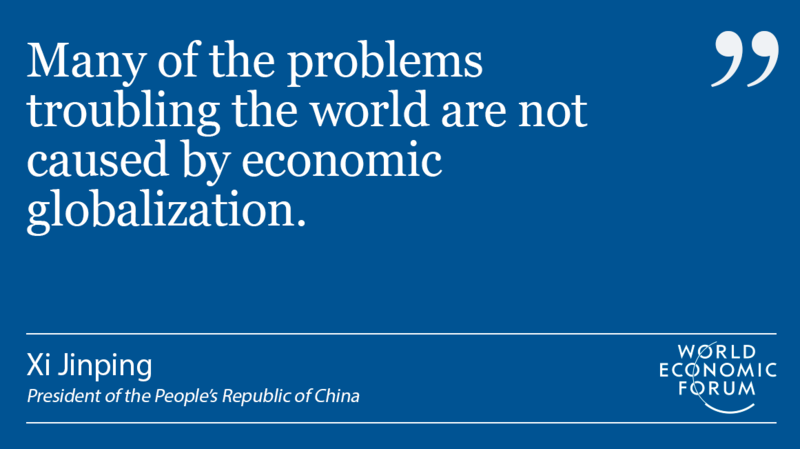 In an address to participants, Xi emerged as a champion of economic globalization, insisting that despite a Western backlash, it still had the power to change people’s lives for the better. It was a message repeated by other Chinese leaders at the meeting, including one of the country’s most successful entrepreneurs, Jack Ma of Alibaba. It’s not globalization that’s to blame for America’s woes, he explained; it’s the way the process was managed. Rather than using the wealth it generated to help all Americans, it was squandered. Or at least farewell to the USA we’ve known for the past eight years, as President Donald Trump takes office. There’s still a lot of uncertainty as to what a Trump administration will mean, for both the US and the world. Anthony Scaramucci, who from today heads up the White House Office of Public Engagement, was in Davos to provide some clues. His main message? You’ve got President Trump all wrong. Sticking to the theme of uncertainty, British Prime Minister Theresa May came to Davos to outline her country’s Brexit plans. Despite her assurances that Britain was still open for business, financial leaders didn’t seem convinced, and spoke to journalists in Davos about their plans for downsizing their London offices. As for the European project more broadly, while its future is still unclear, leaders took to the stage to defend it from critics. National governments need to stop playing the blame game, they said, and instead rally round to save the union. The main sense throughout the meeting was that we’re living through a geopolitical shift not seen since the end of the Cold War – from a unipolar world, with one superpower, to a multipolar one. Change is scary, Alexander De Croo, Belgian’s deputy prime minister, told participants in a session on understanding the rise of populism – a theme that cut across the whole meeting. “What you have is anxiety about a world that is changing,” he said. What will the new world look like? The question that kept coming up is what that world will look like. Will it be a return to the 1930s, with a rise in selfish national interests at the extent of the broader good? 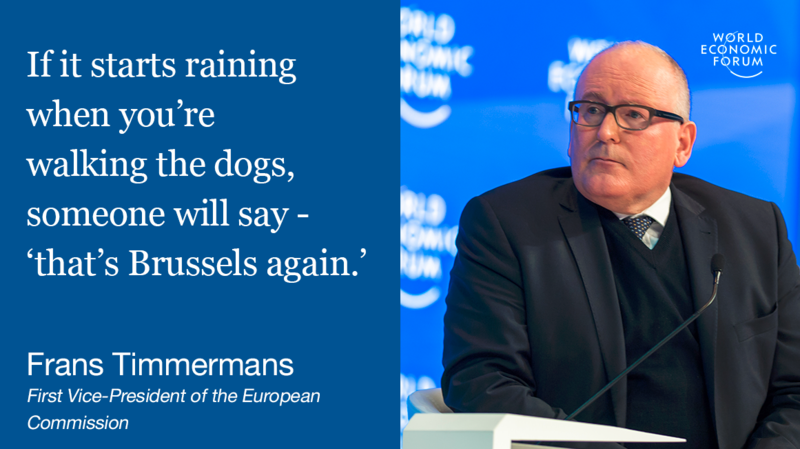 Not according to Davos leaders. While almost everyone called for a reform to globalization, most people agreed with President Xi: globalization is worth saving. “There are 3.6 billion people around the world aspiring to better income, to food on the table twice a day, once a day. To turn our back on globalization, to turn our back on helping development, is exactly the wrong approach. To say that globalization is bad because it destroys jobs is a very short cut for something that needs far more analytical work and understanding,” IMF chief Christine Lagarde said. And it’s not just globalization that needs reforming to face the challenges of these changing times: our governance models must also be shaken up. That’s exactly what new United Nations Secretary-General António Guterres told Davos he would do to the 72-year old institution. “We have a lot of shortcomings that need to be addressed,” Guterres explained. But his plans to make it less bureaucratic and more nimble would help it do more with less, he promised. Of course, the shape this new world takes will depend on the decisions being made today. Are we happy to live in a world where just eight men control the same wealth as half of humanity? If not, then what policies can we put in place, what systems can we rethink, to actually bring about change? Ideas abounded, from familiar solutions – retraining people to make sure they have the skills they need, reforming tax systems – to more radical ones like a universal basic income. Of course, some of these themes aren’t new, even if they have been pushed to the forefront by the tumultuous events of 2016. In fact, as Christine Lagarde noted in a session on inequality, she was raising alarms four years ago in Davos, and nobody at the time listened to her. But even if we’ve heard some of these things before, there was a palpable feeling throughout the four days that now is the time for change. 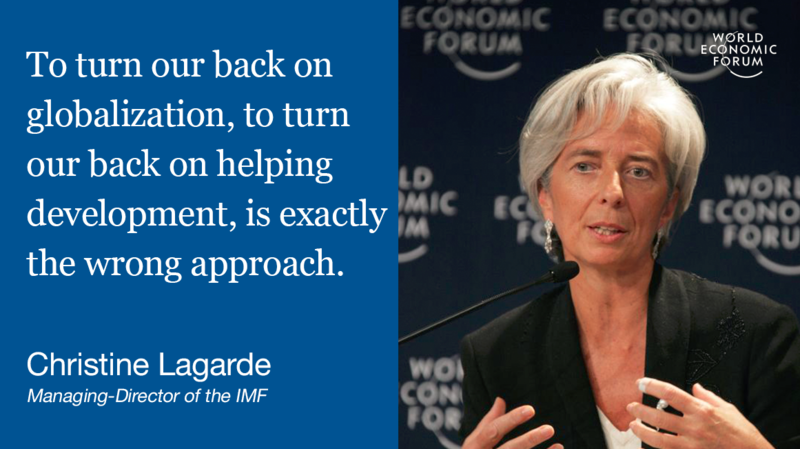 As Lagarde warned leaders gathered in Davos, “if policy-makers don’t get it now, I don’t know when they will”.